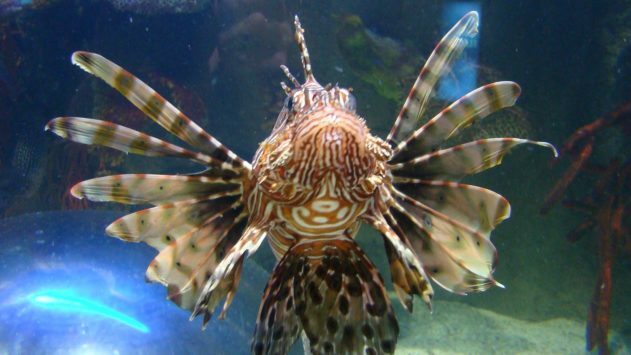 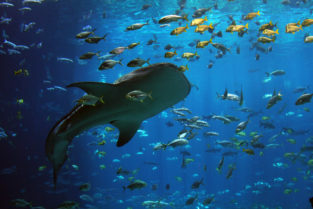 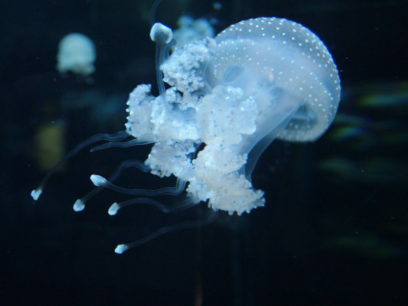 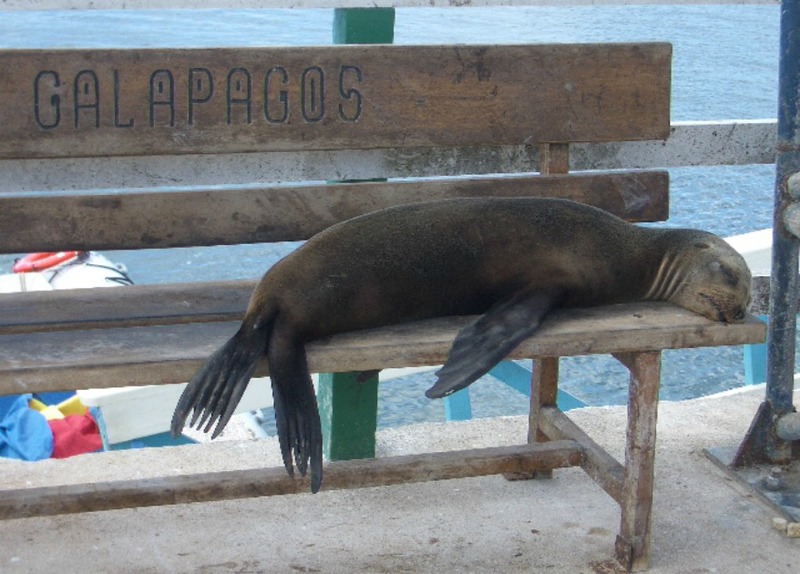 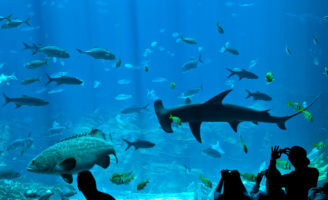 For a fun day out, go to an aquarium and experience the wonderful atmosphere of the underwater creatures. 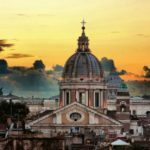 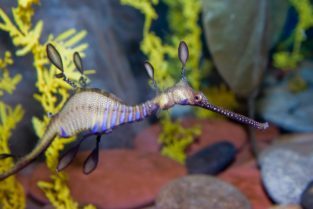 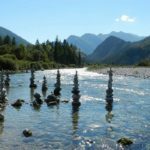 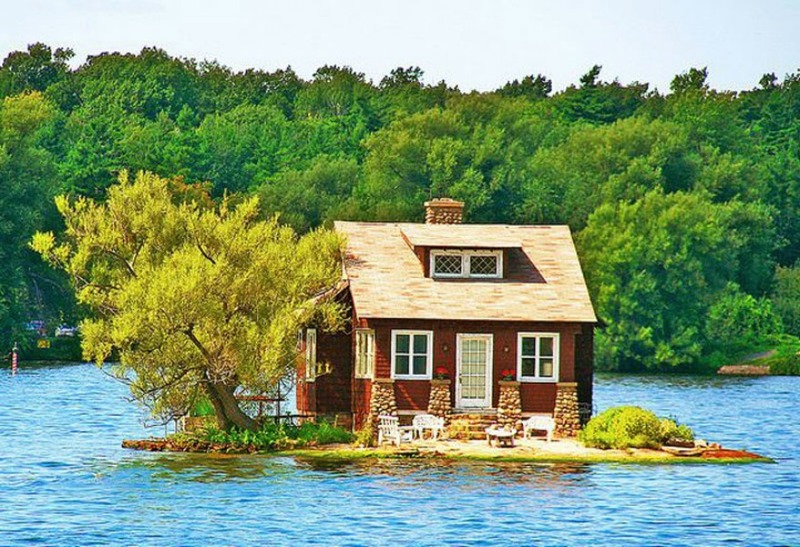 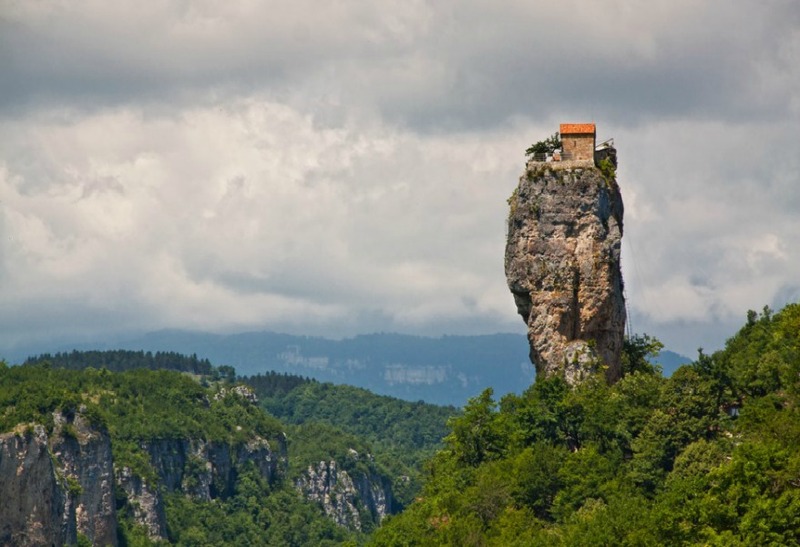 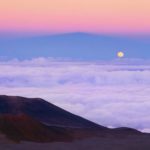 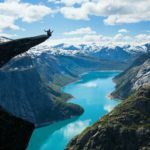 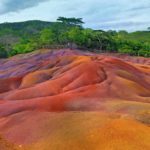 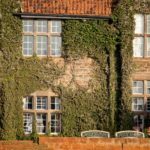 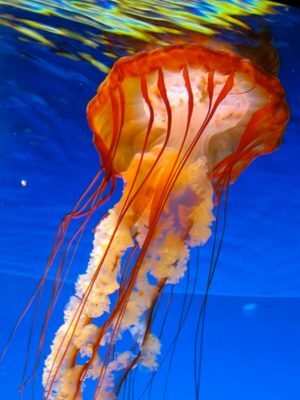 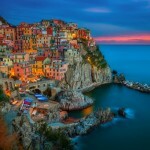 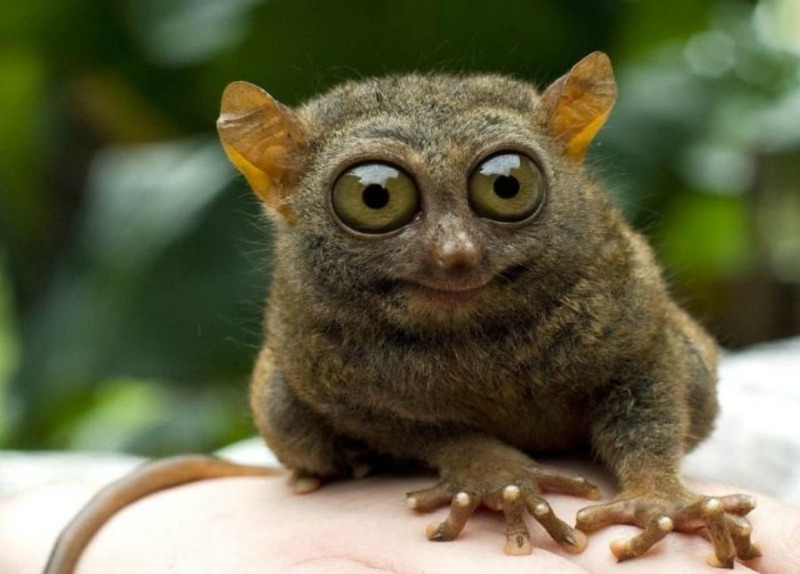 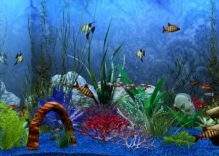 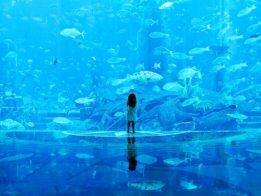 However, you shouldn’t go to just a normal aquarium, but you should rather choose to visit one of those listed below, which are all considered to be the world’s most beautiful ones. 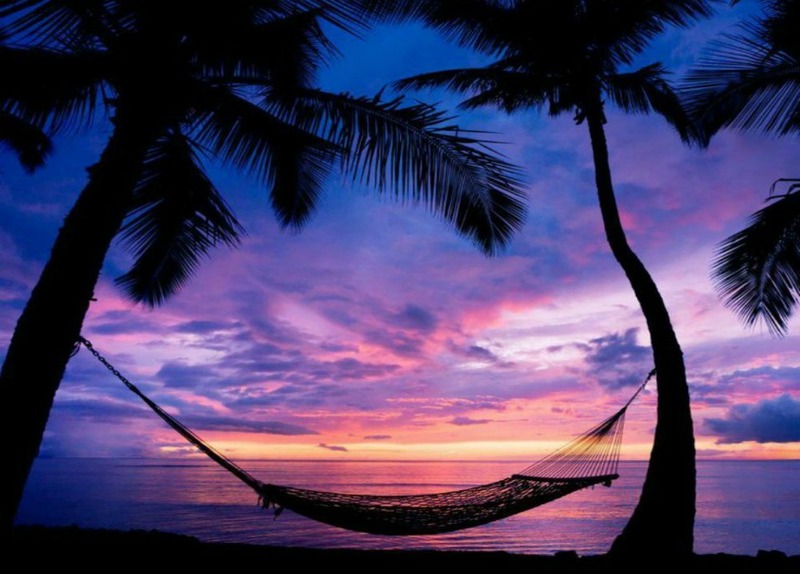 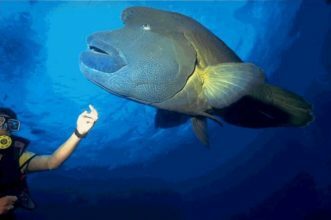 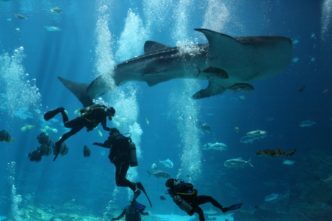 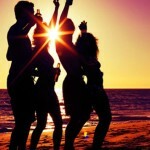 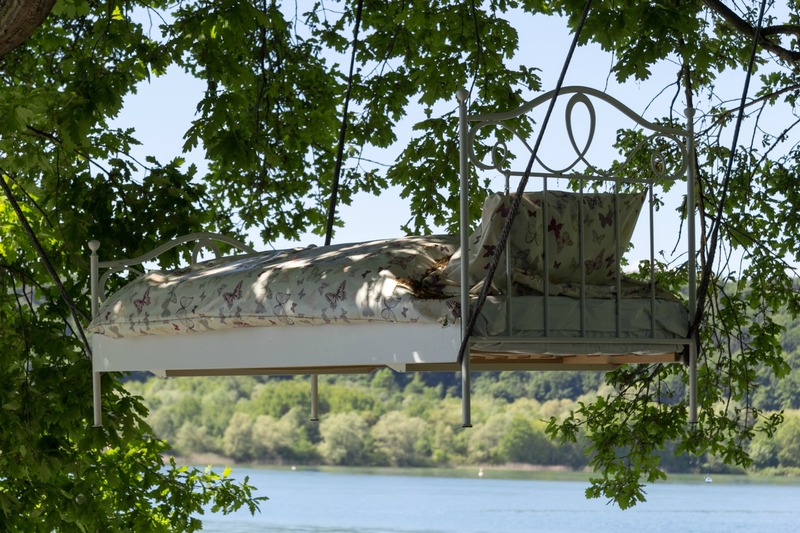 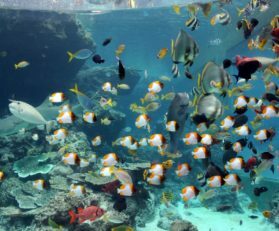 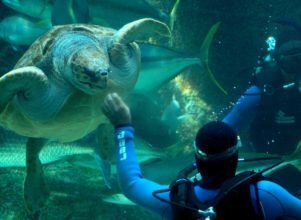 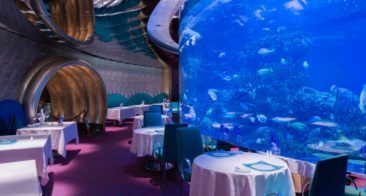 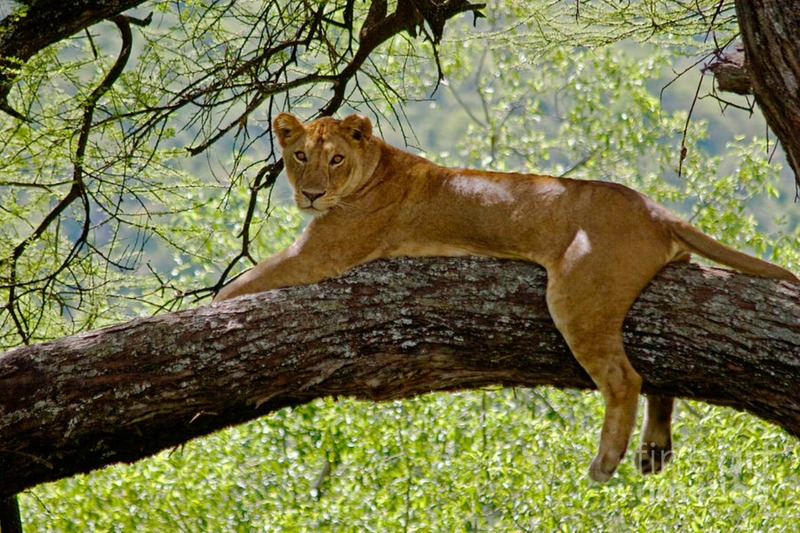 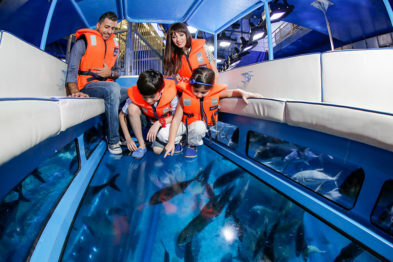 Indeed, to have an extraordinary experience, go to Dubai, Osaka, Cape Town and many other places, and have a tour of the gigantic and magnificent fish tanks hosting white sharks, rare tropical fish and even colourful creatures that all live underwater. 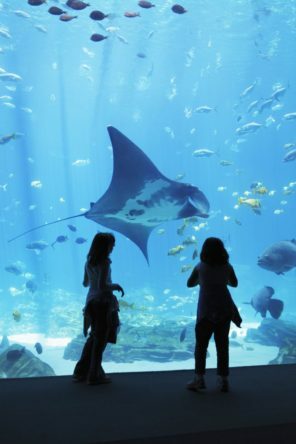 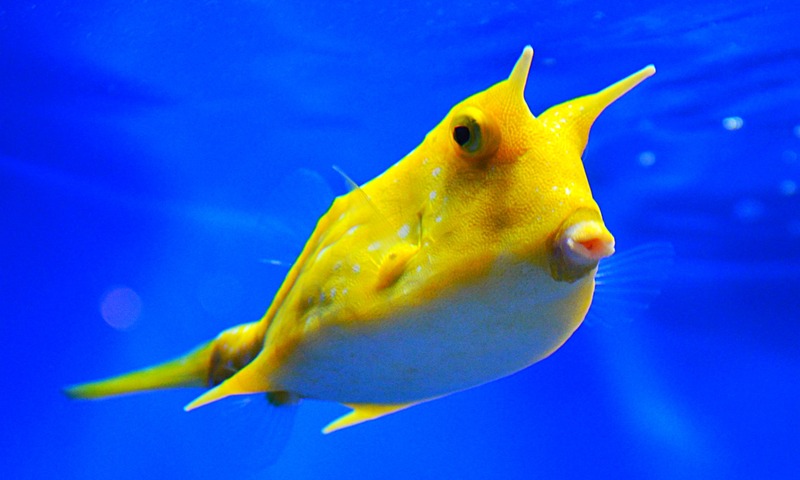 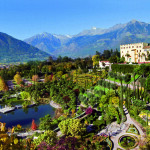 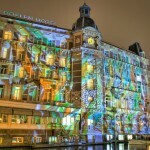 Only for you The Golden Scope prepared a guide to the best aquariums of the world, enjoy! 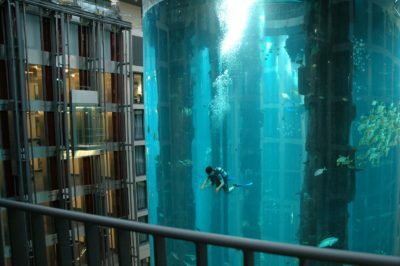 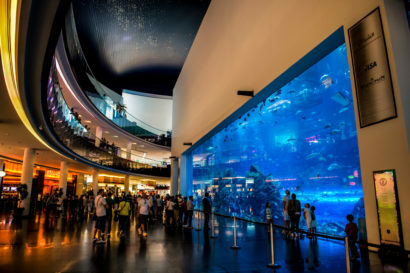 Located right in the middle of a shopping mall, this beautiful aquarium is the biggest one in the world. 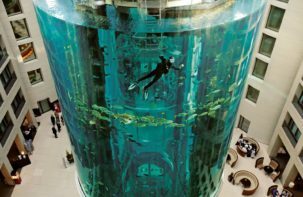 As a matter of fact, it was awarded for holding over 10 million litres of water inside, and for having the biggest glass panel on the planet: 32.88 meters height, 8.3 meters long and 750 mm thick. 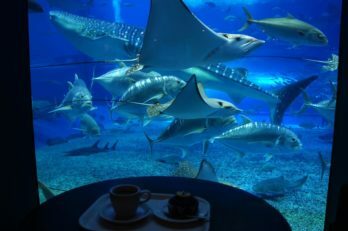 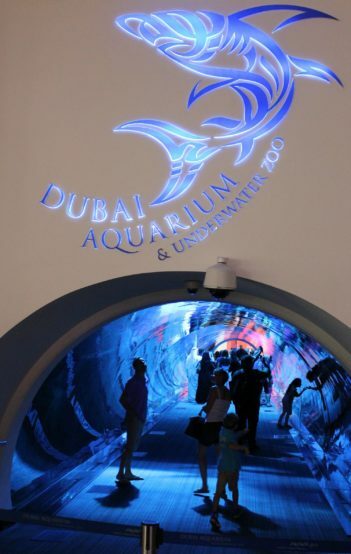 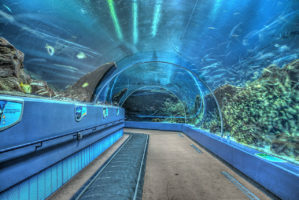 Dubai Aquarium presents different kind of marine flora and fauna, and it is absolutely unique, thanks to the numerous tunnels passing right across the fish tanks. 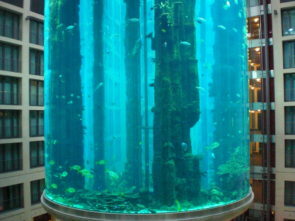 This aquarium is surely one of its kind. 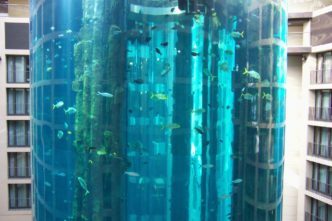 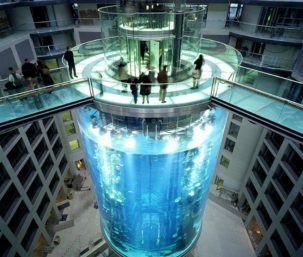 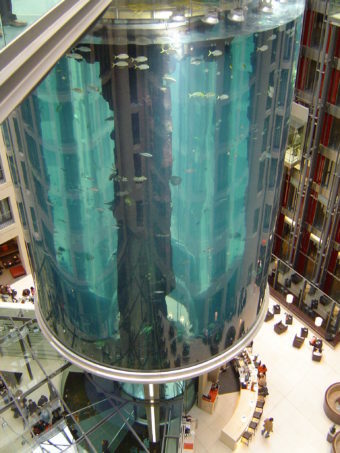 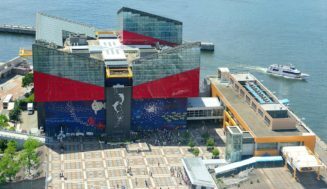 Following the shape of a 25 meters long tower, with a diameter of 11 meters, this incredible aquarium presents an elevator built in the middle, which brings you up to the top and shows you a breath-taking view of the different tanks. 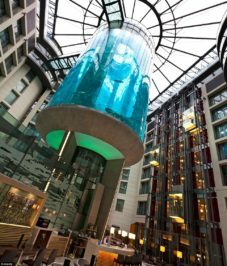 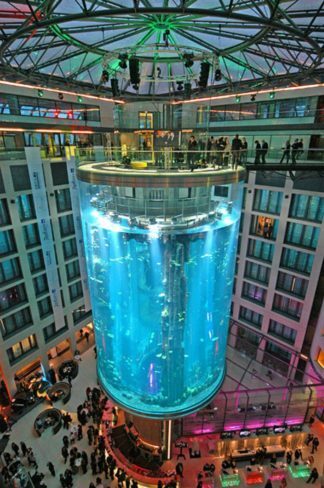 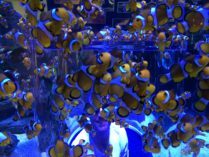 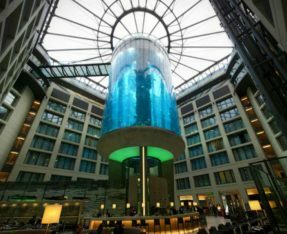 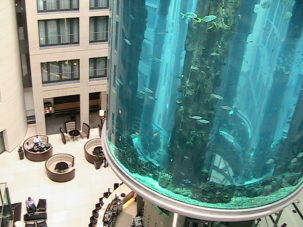 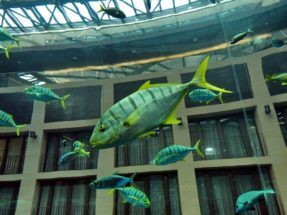 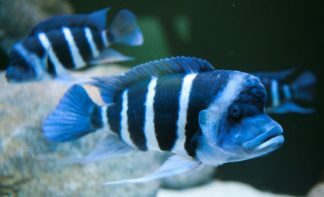 The Berlin Aquarium is located inside the Radisson Blue Hotel and it is home to more than 2000 types of fish. 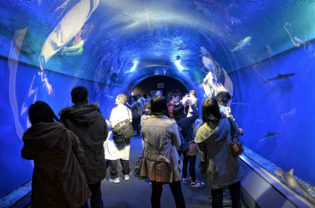 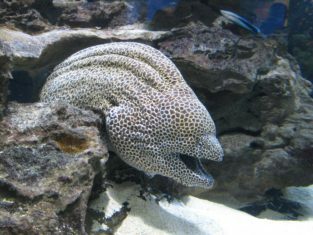 When there, it is also possible to submerge in the tanks to view the creatures ‘face-to-face’. 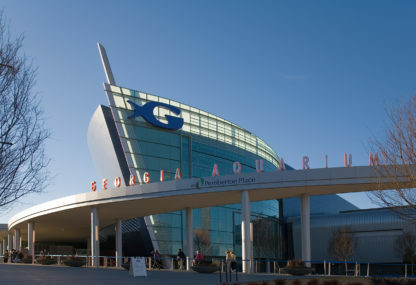 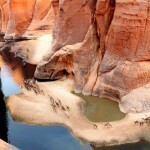 This is surely among the most beautiful aquariums of the U.S. 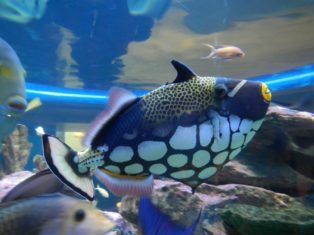 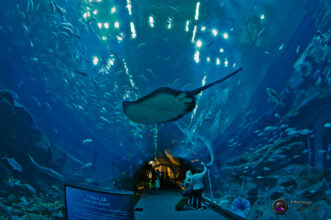 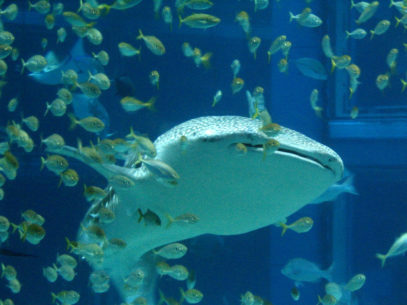 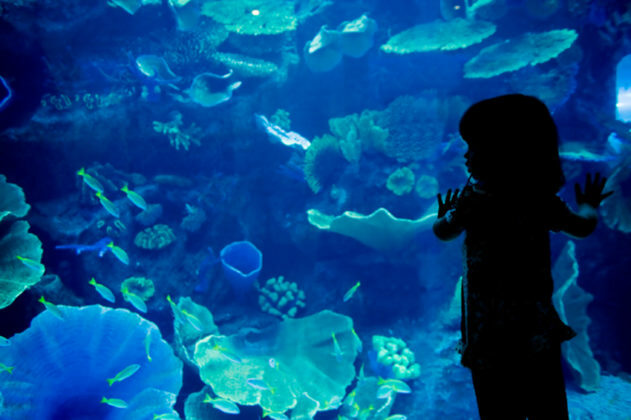 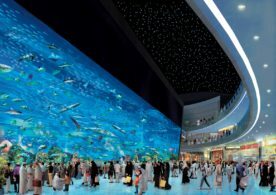 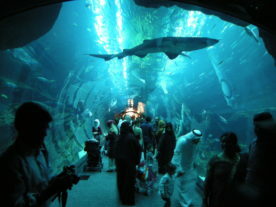 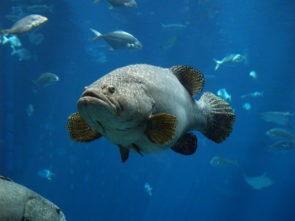 Even thou it was publicized as the biggest aquarium in the world, it is actually second to Dubai. 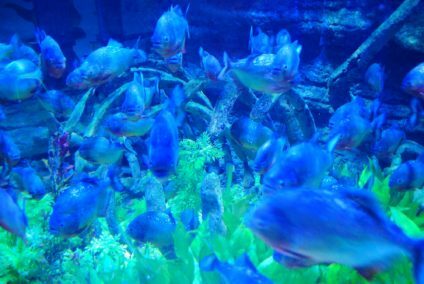 Different colourful fish constantly fill up the numerous tanks exposed all over the place; and even here, at the Georgia Aquarium; it is possible to go underwater and swim with the fish. 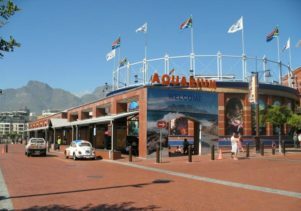 The dolphin show is a must see when there! 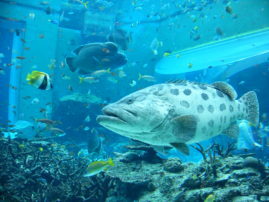 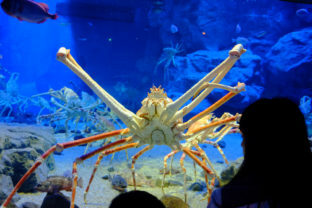 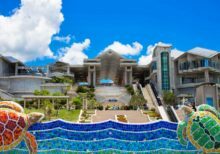 The Osaka Aquarium Kaiyukan is located in the pulsating heart of the beautiful Japanese city of Osaka and the Okinawa Churaumi Aquarium is located in the Ocean Expo Park, built on 2002 in this beautiful island. 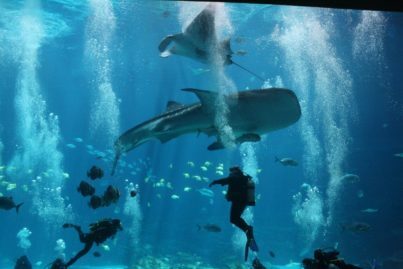 These aquariums are absolutely gigantic, and among all the fish it hosts, it also takes care of three beautiful whale sharks. 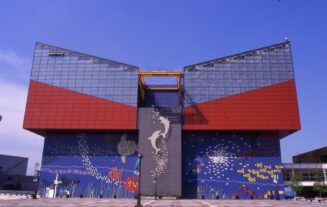 The entire structures are immersed in a park, where it is also possible to visit the pool for the dolphins’ show, the turtles pool, a Japanese village that revoke the ancient samurai’s towns, the tropical fish section, and a beautiful white sandy beach fading in crystal clear waters, where between April and October is possible to swim. 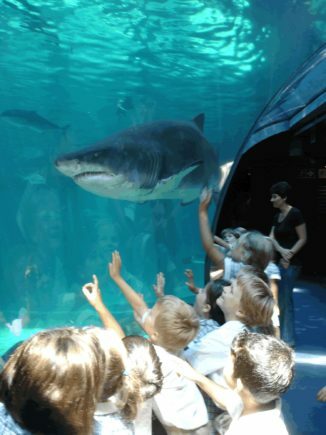 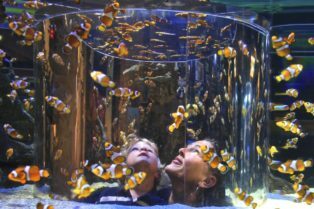 This aquarium is the perfect place for those who are fascinated and want to learn more about the world underwater. 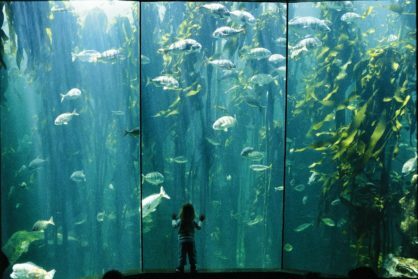 Indeed, when in this place, whether you are a kid or a grown-up, you can actually study the different types of creature that habit the bottom of the oceans! 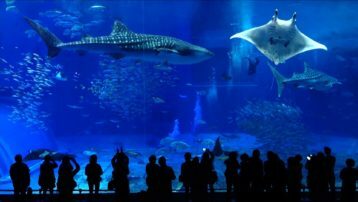 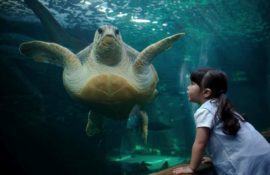 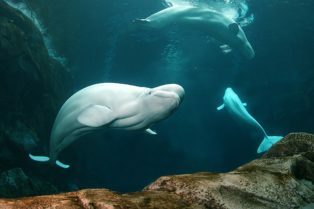 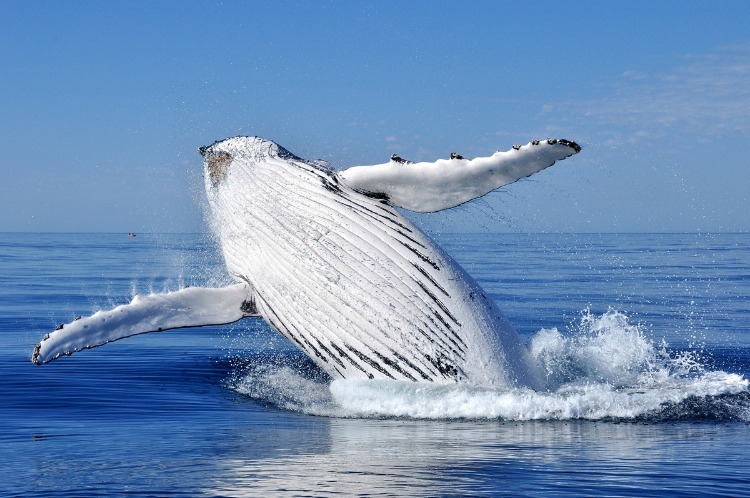 The coolest attractions of this aquarium are: the fascinating tour of the whales, during which you can learn how these colossal animals communicate with each other; and the crustaceans tanks.